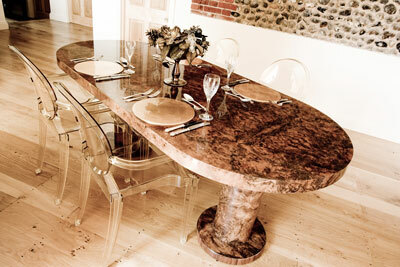 Incredibly beautiful dining table shown here in full burr walnut. Our own design and an extremely solid construction using turned burr walnut twin pedestals. We are also able to offer this style of table in any size that suits you - circular, oval or rectangular in any size! If you would like to change any aspect of this item or have other design ideas, please call or use our bespoke request form. 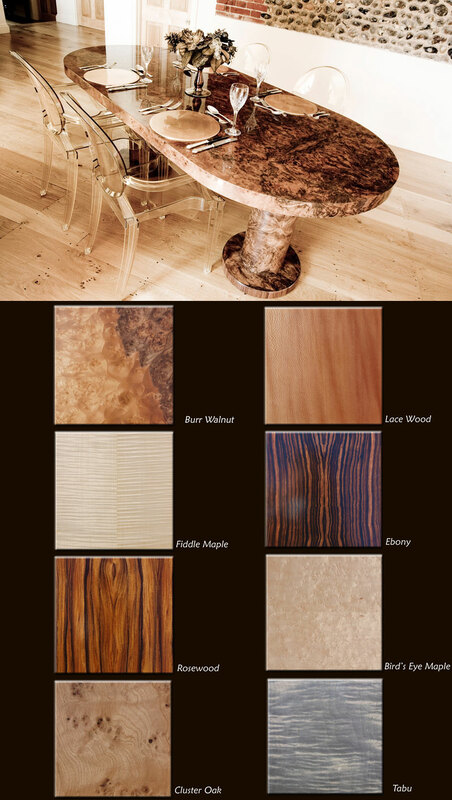 Choose from one of eight stunning exotic woods.